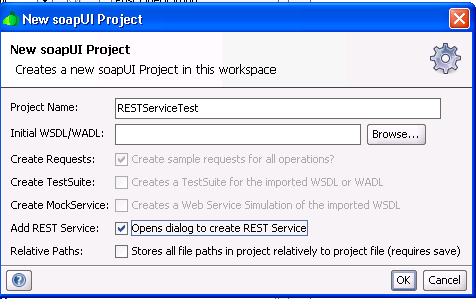 This post assumes the basic working knowledge of SOAP UI testing tool, Oracle Service Bus11g and developing the REST based services. REST stands for ‘Representational State Transfer’ and it was first introduced by ‘Roy Fielding’ in his 2000 doctoral dissertation. REST is another architectural style of creating the web services that is different from SOAP based web services. 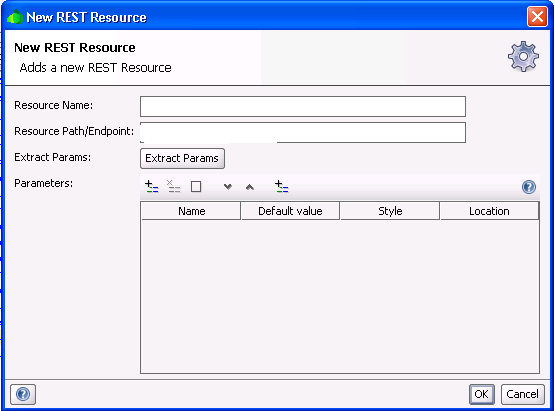 REST based architectures communicate primarily through the transfer of representation of resources (information) and it uses simple XML over HTTP. · REST based architectures are built from resources that are uniquely identified by URIs and the only allowed operations are the HTTP operations: GET, POST, PUT and DELETE. 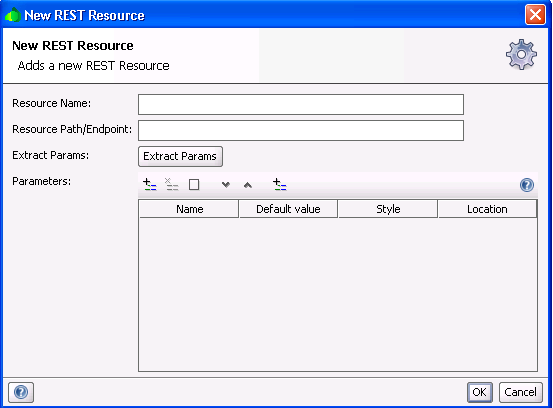 · REST components manipulate resources by exchanging the representations of the resources. 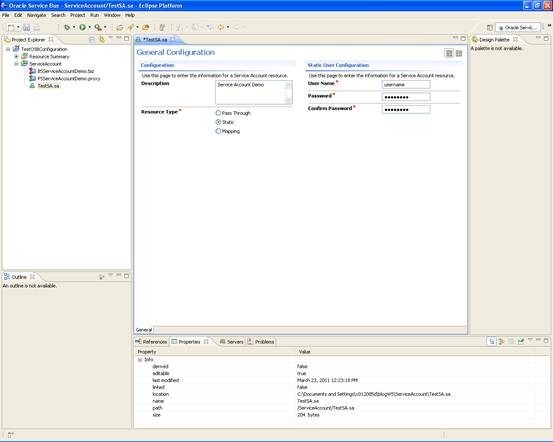 For example, a trading account can be represented by a XML document. 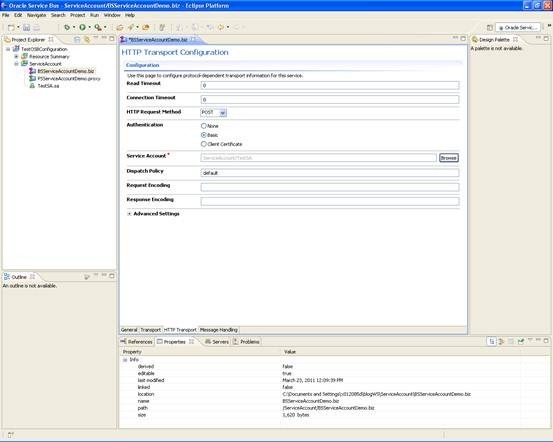 In RESTful architecture a trading account might be updated by posting a XML document containing the modified trading account information to its URI. Open the SOAP UI and click on File -> New SOAP UI Project. 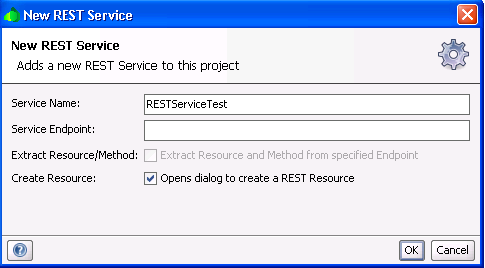 Enter the project name and select the option ‘Add REST Service’ and click on OK. In the next dialog window, Enter the Service Endpoint as :port">http://<hostname>:port where OSB runs and do not include the proxy service endpoint in this and check the option ‘Create Resource’. In the next dialog window, Enter any value for the resource name to identify the resource and give the actual Proxy Service endpoint for Resource Path and click OK. In the next dialog window, Enter any value for method name and select the HTTP method as your Proxy Service supports. 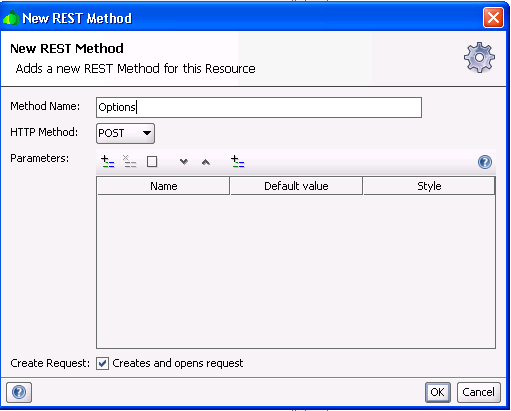 Since my OSB proxy service supports only POST I am selecting the method as POST as shown below and click on OK.
Now verify that new REST project has been created and Request1 window is opened. To test your REST based proxy, modify the Media Type to ‘text/xml’, copy the request into request window and run by clicking on green arrow icon on the top. 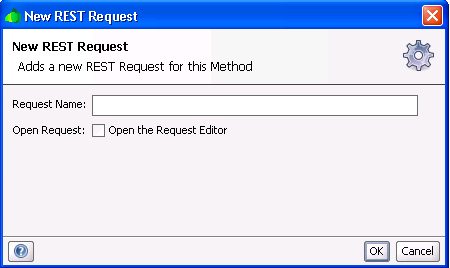 Enter the Request Name as you need and click Ok to open the request editor. 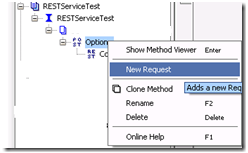 Once the request editor opens, copy the request into the request window and run as explained earlier. Right click and select New Resource as shown in the below screenshot. Enter the Resource Name and End point as explained in previous section to add another resource (proxy in our case) and click on OK.
Verify that another resource is added to the project that we have created and enter the Method Name and select POST method as explained earlier and click on OK. And run the request after pasting it in request window. Very often, when we want to connect to some external FTP/SFTP or JMS servers or for that matter even for some of the HTTP services we need to authenticate our self before initiating the conservation. The same case applies to OSB proxy and business services as well. To facilitate this OSB has provided a feature of Service Accounts. Service Account is nothing but an OSB resource that allows us to specify the ‘User Name’ and ‘Password’ for the target server that we want to connect through proxy or business service. The OSB proxy and business service creation wizards provides the option to include this service account resource wherever applicable depending on the transport. Static: The specified credentials will be encoded in outbound request. Pass-through: The specified credentials in the custom token will be used for outbound WS-Security Username Token authentication. Mapping: The credentials mentioned in the inbound request will be mapped to other credentials that are remote. 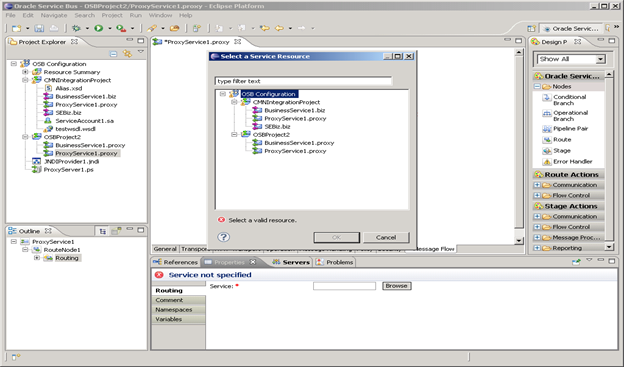 The Service Account can be used during the design time or at the runtime in the message flow of the proxy service. In this section we will have a look at how to use the service account in the design time while creating the business service. 1) Create a simple proxy and route it to the business service. 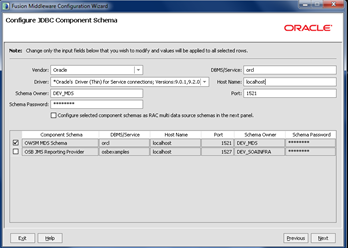 2) Create a new Service Account resource as shown in the following screenshot. 3) Enter the Service Account name as TestSA and click on Finish button. 4) As mentioned earlier, the service account can be of 3 types which are represented by ‘Resource Type’ in the following screenshot. Select the resource type as ‘Static’ and enter the username and password fields that we need to connect to HTTP or FTP or JMS server. 5) Now go to HTTP Transport configuration page in the business service as shown in the below screenshot. Modify the Authentication to ‘Basic’ and observe that Service Account field became mandatory. 6) Click on ‘Browse’ button and select the Service Account ‘TestSA.sa’ as shown in the below screenshot. In the same way we can use the service account when the transport is selected as FTP, JMS etc.. and both proxy and business services can make use of the Service Accounts. 7) Click on OK and save the business service and now you can start testing the business service that accepts these credentials in the request. The above XQuery function results into the following output when used in any of the OSB activities. So the following XPath expressions will fetch you the username and password that can be used wherever we want, where varSA represents the variable that store the above XQuery function result. Very often, we may want to introduce the fixed delay in the stubs before responding to the request that SOA stub server receives. Double click on the stub for which you want to introduce the delay and click on Service Options tab. Select Time Options for left menu as shown below and enter the value for Think Time in msec. For example, the following screenshot introduces 3 min delay in the stub. The focus on the Web services continue to grow with the emergence of Service Oriented Architecture (SOA) because of its reuse, loose coupled nature and agility it adds to business processes. Similar to typical software application life cycle, web service testing also assumes the equal significance. Rapid creation and deployment of complex web services offer challenges to the developers and QA teams as well during testing. 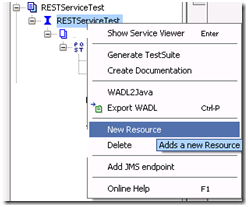 · Invoking the Web service using the test clients by sending the requests. · Verifying that the actual response is similar to that of expected response. In some of the cases where the end system is unavailable we need to create the stubs to simulate service provider behavior. Parasoft SOA Test is a testing tool used in the Webservice Testing that can be used to perform all of the above activities. This post assumes the basic working knowledge of SOA Test 6.2 in creating the stubs and will discuss the case of simulating the fault from the service provider. 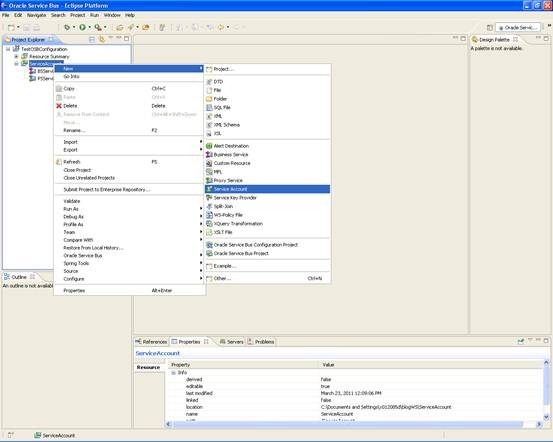 – Double click on the stub in Test Case Explorer that brings up the screen similar to the below one. Copy the SOAP fault that you want to receive from the service provider in the Response tab as shown below. – Go to the Service Options tab and click on ‘Return Status’ in the options available at the left side of the screen as shown below. Enter the ‘Return Status’ and ‘Return Message’ fields as shown in below screen. As per WS Basic Profile, HTTP status code 500 has to be sent to the consumer of the service when service provider sends the fault response. That’s why we are setting the value as 500 here. 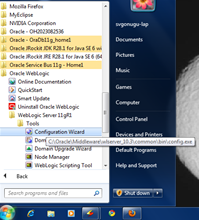 In Oracle Service Bus world, all the artifacts are called the OSB resources. In a typical SOA environment, there will be a need to share the different resources across the projects. The resources can be anything like WSDLs, XSDs, Proxy, Business service etc.. This post talks about sharing these resources across different projects in OSB development environment. OSB has the concepts of Configuration Project and OSB Project that can be used to organize different artifacts. 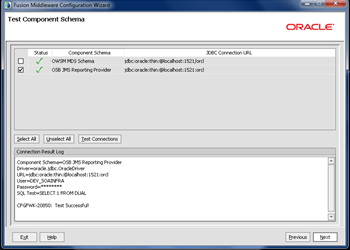 We cannot create all kinds of resources in the OSB Configuration Project. 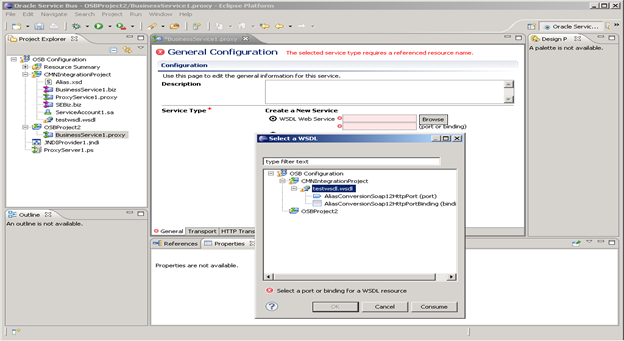 For example creating WSDL or XSD in configuration project will give the error. We can only create the Global Resources like Proxy Server, JNDI Provider and SMTP Server. 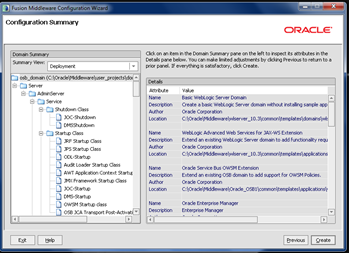 All these resources that can be created in the OSB Configuration Project can be accessed from different OSB projects present in the Configuration Project. To share other resources, we can create a common OSB Project and keep all the resources in this project. The following screenshots shows that WSDL and Business Service created in CMNIntegrationProject being used in OSBProject2. Like the ones shown in the above screenshots we can use all the resources that are created in common project from other projects. This is possible because all the resources will be referenced from the OSB project. Observe the project name inclusion in WSDL path which is making this sharing possible. The same behavior can be seen from OSB console as well. We are done with the OSB installation and RCU components that are required OSB (if we want to use OWSM). We have to create the domain so that we can deploy the OSB components. This post quickly explains on how to create the WLS domain. As mentioned earlier we are talking about the creation in Windows 7 environment. 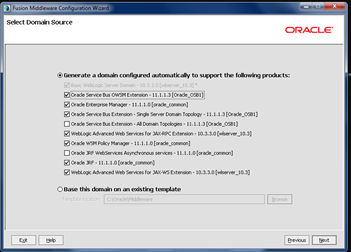 1) Go to your WLS installation and open the configuration wizard as shown below. 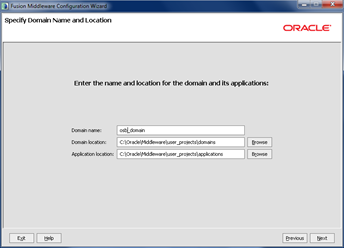 2) This brings up the following screen where we have the options to create the new domain or extend the existing domain. 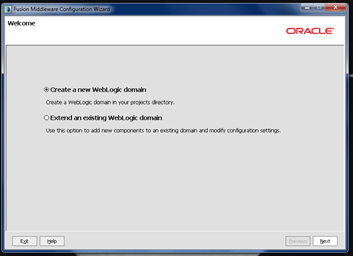 Choose the option ‘Create a new Weblogic domain’. 3) The screen shows the different products can be configured in the new domain. Select the ‘OWSM extension’ if you are planning to use the security policies for your OSB services. Select the ‘Single Server Domain Topology’ option, if you want just the Admin Server or select ‘All Domain Topologies’ if you want both Admin and Managed Servers to be created. 4) Enter a meaningful name for the domain to create and retain the default values for others. 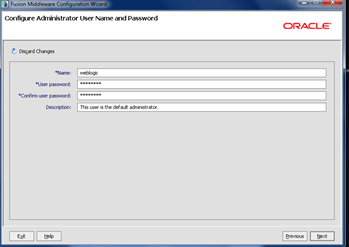 5) Enter the admin password for the weblogic user and click on Next. 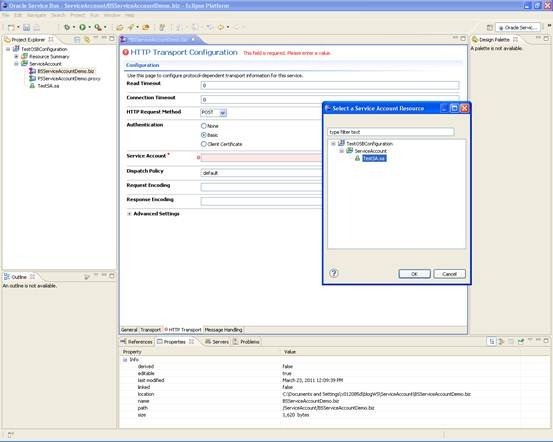 6) Select the JDK installation in the next screen and proceed to the next screen to provide the authentication related information for the component schemas. 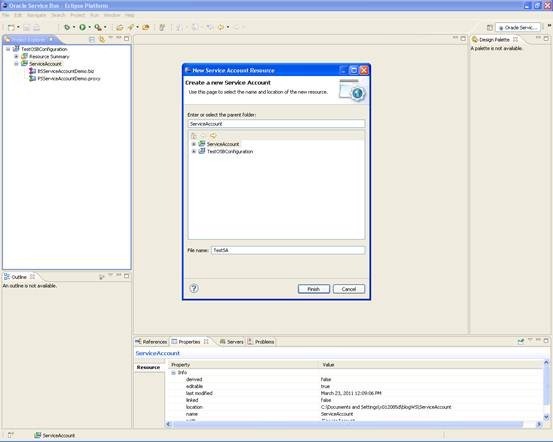 Enter credentials for schemas DEV_MDS as its given during the RCU installation. For OSB JMS Reporting provider, you can use the internal derby database that comes with the Weblogic or you can use the DEV_SOAINFRA schema as shown below. 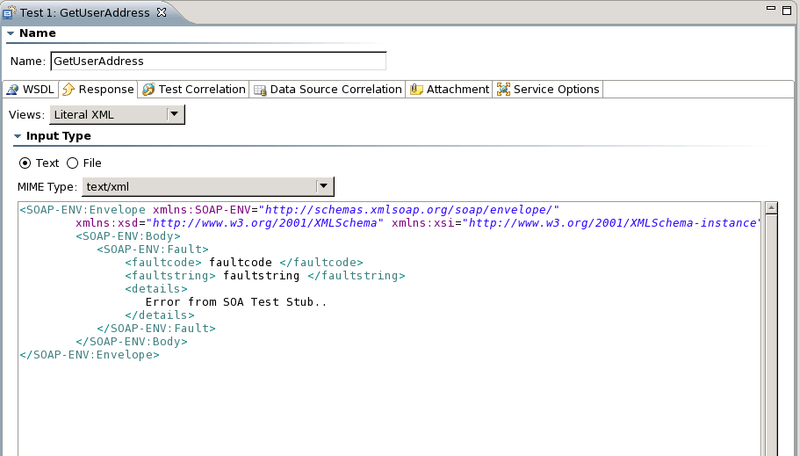 7) Proceed with the next screen where the testing of schema will be done using the credentials we entered. If there is an issue with the credentials you will get an error here. So you can go back to the previous screen and modify the credentials or fix the issues with database connectivity. 8) Click Next twice to go to the final screen and click on Create button to finish the domain creation process. 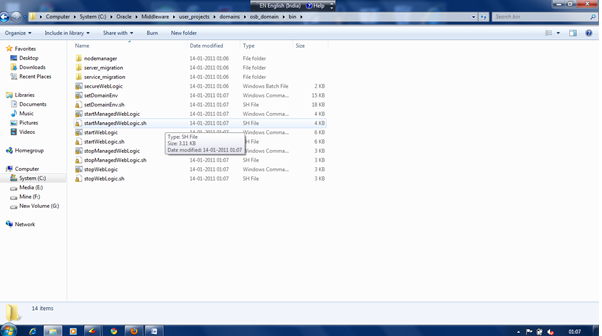 9) To start the server, go to the file system location where the domain has created as shown in the below screenshot. To start the admin server, just right click on startWeblogic.bat file and choose ‘Run as administrator’. 10) We can verify the running of OSB server by accessing the URLs as given below.